This sweater fashion is made for small size male dolls (17-18"). You can check more details of the doll size at "size available"
This light orange pants is made specially for small size( 17 - 18") male dolls, e.g. 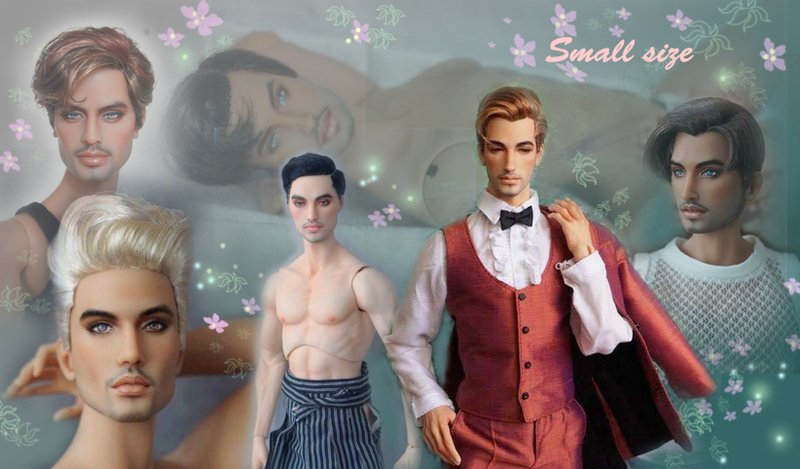 Kinsman, Numina male , Jamieshow, Deva doll and Tonner, Winner doll guys etc. You can check more details of the doll size at "size available"
This black long hair with short bang is made specially for small size girl dolls (15-18"). You can offer the another color that you prefer if you dislike black as shown in the pictures. You can check more details of the doll size at "size available"
This special braid ponytail wig with embroideries at the end is made for only OOAK. And it is made for fitting only original and Chinese (asian) sculpt of Kingdom doll only. Electra and Athena'd head maybe a little too small. This gorgeous afro ponytail wig is made for small size girl dolls (15-18"). The color is black. Anyway, you can offer another color if you prefer if you dislike black as shown in the pictures. You can check more details of the doll size at "size available"
This wig is made specially for 16-17 " male dolls e.g. Numina male , Kinsman, Jamieshow , Tonner , Devadolls , Winner doll , etc. ( we can make this wig for a female doll too if you prefer ) The color is black. You can offer another color as you prefer if you dislike the color on this sample. You can check more details of the doll size at "size available"
This afro with the short side wig is made with saran hair for small size girl dolls (15-18"). The color is black. Anyway, you can offer the the main color & highlight that you prefer if you dislike those colors as shown in the pictures. 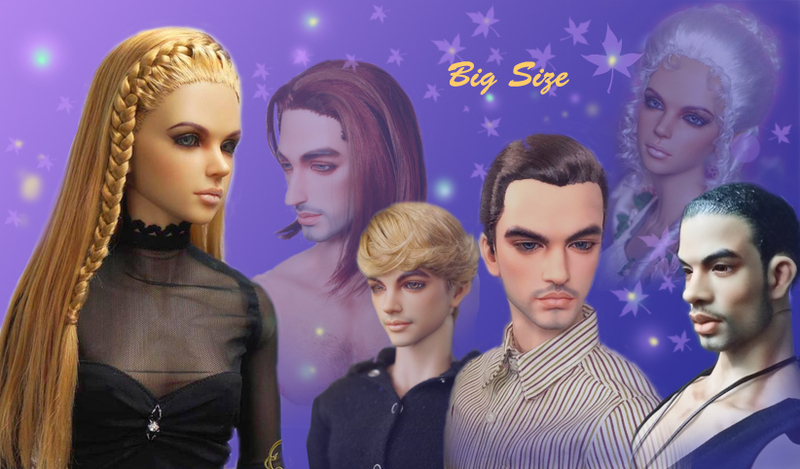 You can check more details of the doll size at "size available"
This wig is made specially for 16-17 " male dolls e.g. Numina male , Kinsman, Jamieshow , Tonner , Devadolls , Winner doll , etc. The color is black. You can offer another color as you prefer if you dislike the color on this sample. You can check more details of the doll size at "size available"